Got a Eurogamer account? Your details will work here too! Create an account. They're free! We asked you, ourselves, and folks in the industry for their thoughts on a system that helped define video gaming. When Nintendo debuted its Famicom home console, they surely hoped for a hit. But they couldn't have predicted the worldwide impact the system would have, nor its lasting influence. 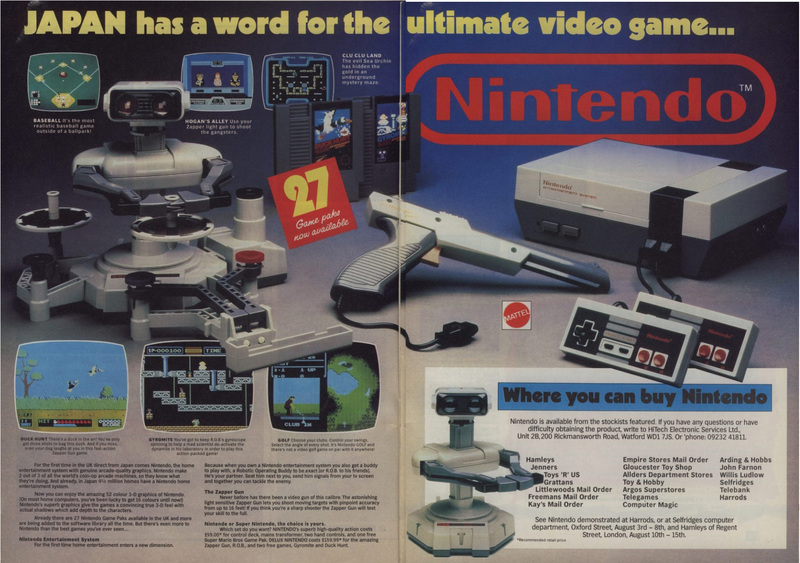 On the occasion of the console's 30th birthday -- it debuted July 15, 1983 in Japan, with its U.S. counterpart the NES arriving more than two years later -- USgamer's editors and readers reflect on their fondest memories of the Nintendo Entertainment System. We also asked Shigeru Miyamoto, key designer of NES pillars like Super Mario Bros. and The Legend of Zelda for his own reflections on the past 30 years of gaming. 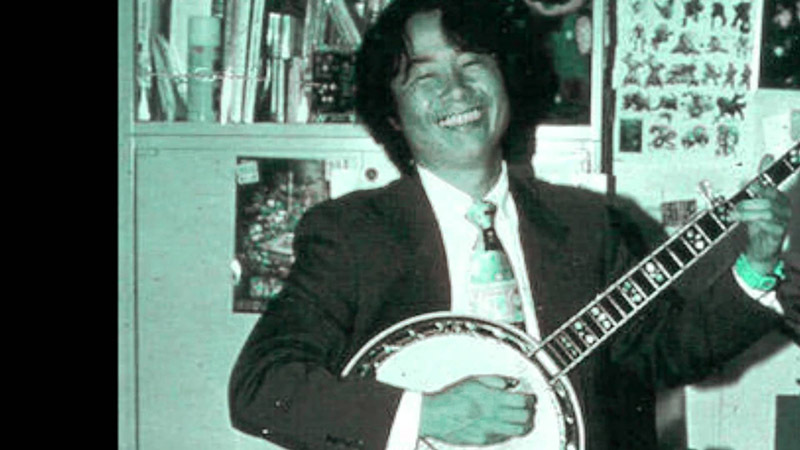 Rather than delving into specific Famicom memories, though, Miyamoto took a larger, more philosophical approach on how gaming has changed since the Famicom debuted. Because that's how he rolls. "For me personally, because the first projects I worked on were arcade games for the United States, I've always had a very global perspective in terms of what I've created. I've never really looked at Nintendo in terms of a local Japanese company that went global, but certainly when I think back on the number of years and back to the Famicom era and look at the new members of Nintendo nowadays I can certainly see how some of them may feel like it's a big global company all of a sudden. "One of the things that really surprised me is when I first started we were making games for the arcades; back then the arcade machines were really using sort of the leading-edge technology in gaming and home console systems had technology that was sort of a level below the arcade machines. Certainly then we had the transition into the console industry, and even then you had the PCs which had the leading edge technology with the consoles sort of below that. And we've kind of come to a point now where the consoles themselves have the sort of leading-edge technology that everyone looks to when the new consoles are announced. "The way that this flow and the change has occurred is something that's really surprised me. For me, it's always been about being there in the moment as those changes are happening and working with those changes and still trying to find within that ways to create entertainment that's new and unique." When the NES originally came out in limited release, the only place that I could find it in tiny Redding, CA was JC Penney. The problem was, they didn't carry most/all of the games. I really wanted 1942 and one other game. So I called Capcom -- like multiple times a week, explaining that they weren't available in Redding (this was way pre-Internet, pre-Amazon, etc.) and I really wanted to buy them. At some point they finally got sick of me calling and set me up as a distributor in their system so I could buy one copy of each from them. I still have the invoice with me listed as a distributor packed away. I was one of Capcom's earliest "distributors," and probably their youngest as well. Nintendo games were evil. Some were fun, some were innovative, but most of them were just punishingly hard. Battletoads required either super-speed reflexes or actual psychic powers to get through more than three levels. I remember getting Teenage Mutant Ninja Turtles and expecting end-to-end fun with some of my favorite childhood characters. Instead I got the harshest truth: While Leonardo and crew live in a cartoon world where they always succeeded, I lived in reality and death was just around the corner. There was the two-hit wonder that is the original Ghosts 'n Goblins. What about the maddening Solomon's Key, where you could actually end up with no way through your current level? The pain only got worse when the Game Boy came out. The other thing I remember about the NES era was box art. Kids these days don't know how good they have it. Today, we have graphic designers who spend weeks designing and focus-testing the right box art. Back in the day, a publisher just had a sibling to do the covers, because they were already taking those drawing courses at community college. Everyone remembers the dire box art from the first Mega Man, but what about the traced Arnold Schwarznegger and Sly Stallone for Contra? Or the cover of Castle of Dragon, which looks like it was drawn by a five-year old. The sad part is a number of the games already had good cover art from the Japanese version of the game, but western publishers couldn't leave things alone. Most of my memories of my NES are connected to my grandmother. After I got my SNES, my NES went to my grandmother's house. I was there often because as a '90s latchkey kid, I went there after school and spent my summers there. She actually played it with me a few times. I know we played a few innings of Bases Loaded, and we might have even played Super Mario Bros. 3 together one time. Most of my memories come from playing in the summer. I never beat most of my NES games. I would play an hour or two and put it away, and then play the same section of the game later. One of the games that I thought I beat was quite embarrassing looking back. I played Dragon Warrior up to the point where you defeat the dragon and save the princess. I'm sure Anita Sarkeesian would have a field day with this, but I thought once I saved the princess the game was over. I thought it was odd that the game just left you to wander around, but I was pretty sure that I had beat the game until several years later. The other memory that I have about the NES is that I'm pretty sure that the instruction book to Dr. Mario is the first thing that I ever read. At least, it was the first thing I ever remember reading. I was sitting in the backseat of my parents' Ford Bronco II with my mom coming home from Toys 'R Us after getting the game. She would help me sound out the words and explain how to play the game to my dad. Nothing makes me sound like an octogenarian more than talking about the NES. "Back in my day, we didn't have checkpoints. Or tutorials. Or GameFAQs. Games were hard. Games hated you. They punished you for daring to play them, but you kept coming back anyway because you had a sickness. We got one game on our birthday and one game for Christmas, and that was it. So if you got a game that sucked, it was all you had to play for months. Ask me how many times I beat Acclaim's craptacular Rambo? TOO DAMN MANY. And it wasn't one of those fancy cartridges with a battery backup like Zelda. It had passwords, and we were just glad they had a half-decent font. Most games didn't! They had the kind of passwords where you're never sure if something is a 0 or an O, where 1 looks the same as l. But we typed them in anyway, because it was August, and we weren't going to get anything new for months." That's it. That's the NES experience. Lots of hard, repetitive games with rough edges that developers didn't think to smooth out for another decade or so. Games that, if you were good enough, could be beaten in half an hour or less. But you weren't good enough, and when you ran out of continues, you had to start over from square one. Ninja Gaiden. Battletoads. Silver Surfer. Ikari Warriors. Abadox. Games that you couldn't beat unless you cheated with a Game Genie from Galoob. And even then, some of them just refused to be beaten. That's what I think of when I think of the NES, and it gets my blood pressure up. And now I need to lie down, because my doctor said I need to cut down on spells and getting in a tizzy. My dad and I played a lot of NES together. My fondest memory is when we played the first TMNT game that, of course for the time, had no save feature. I remember leaving our console on for a good while, playing before and after church one Sunday. Glad it didn't burn our apartment down, now thinking about it. In the spring of 1990 I had just turned 6 and had accumulated enough birthday gift money to buy a new NES game. I remember my mom taking me to the mall to pick out my new treasure, and upon entering the game store there was a single game that caught my eye. The game was NARC, and it had everything an adolescent boy, obsessed with action figures, could want: Brightly colored action heroes, guns, sweet helmets, guns, a rad logo, guns. I HAD to have it, and pleaded with my mom that it wasn't as violent as it looked. I used every tactic that my childish brain could muster, but in the end she just wouldn't have it. Instead, she posited that another game would be a better choice for my pliable, soft grey matter. For years I thought I had made the choice myself, never quite knowing why I had given up on that sweet, sweet gorefest, but now that I'm a parent I am fairly sure she guided my decision like some sort of parental gaming illuminati member. In the end though, the wisdom she provided turned out to be sound, as the game she ushered into my arms was Capcom's Chip 'N Dale Rescue Rangers. I can't even count the hours of sibling aggression that spawned from me and my brother picking each other up and "helping" the other through the level. Rescue Rangers ended up being a seminal childhood experience, opening my eyes to the world of Capcom and games that I would go on to enjoy for years after. Like a lot of other people, I'm willing to contribute my current obstinance with my encounters with the NES. Games really did hate you back then. They hated you even more if you were a little girl who was so short, your parents regulated your access to the console by moving the controllers out of reach. I wasted so many weeks trying to find the Princess. Never succeeded. I hope she's all right. To this day, I can still remember where I was the first time I experienced the NES. I am five years old. It's Christmas afternoon, 1986. I'm standing in the living room of my best friend, Brian Green's home. He finishes showing off most of his loot before walking over to the television and turning on a curious, grey box. Immediately filling the screen is filled with a glowing triangle, a cascading waterfall and from the speakers comes a tune that, to this day, still epitomizes one word: Adventure. The title "The Legend of Zelda" meant nothing to me, but based on those opening notes, I could tell that something grand was about to take place. I stared on in a mix of amazement and curiosity as Brian began controlling Link, taking him through a dungeon, slaying monsters and collecting rupees. I had no idea what I was looking at or what Brian was doing. I had never seen a video game before nor had any knowledge of what they were. All I knew was that what I was watching was unlike anything I had ever seen before. And I had to experience it for myself. Much to my dismay, however, we left before I got a chance and it would be several months later that I would finally have the opportunity to do so. But from that moment on, I was hooked. Before even picking up a controller, I became a Nintendo Kid, something that would go on to define so much of my childhood, and continues to resonate as I'm not 32 and have yet to lose that love of gaming. The NES is what sent my hurtling down my current life path of writing constantly about video games, so I have a hard time isolating any single memory as a standout. I will say, however, that the thing I find most significant about the NES in hindsight is the sense of newness it brought. I was certainly no stranger to video games by the time my brother and I chipped in together to buy an NES with the entirety of our gift cash from Christmas 1987. But the NES delivered new and different experiences at every turn, games unlike any other I'd ever played. The blaring calliope music of Super Mario Bros., its blue skies so bright and vivid. The haunting world of Metroid, a game that broke from the level-by-level structure of its peers and whose goal you had to uncover through methodical searching. Mega Man 2, with its tremendous graphics and music matched by perfect gameplay. Clash at Demonhead, dripping with delirious anime sensibilities before we knew what anime was. Somehow annihilating Chaos in Final Fantasy despite not having the first clue about RPGs. And every time I got a new game, I remember peeling off the cellophane wrap as I sat in the back seat of my parents' car, thumbing through the manual to learn about lore and enemies. The influx of new knowledge made the wait to try my new prize almost bearable. My three older brothers saved up their lawn mowing money to buy an NES once they started appearing in our local Best (remember that store?). When they finally went to buy it, I was allowed to tag along. They asked me what other game to get besides Karate Champ (the one they had all agreed upon). I was looking at the cover of Ghosts 'N Goblins, having no idea what it was but thinking the cover looked awesome. I pointed and said "that one." For some reason they thought I was pointed at Tag Team Wrestling and got that instead. At least it came with Super Mario Bros. I learned how to read because of the NES. I was only three but I kept asking my parents what the old man would say in Legend of Zelda. My parents got tired of me asking all of the time and told me if I wanted to keep playing I had to learn how to read. So I got the “See Spot Run” books and worked at them until I could read any NES manual I had. I went back to the Legend of Zelda and the first message I got after my new found skill was, “Dodongo Dislike Smoke”. I was so afraid to ask my parents again what it meant that I just kept playing and eventually figured out that meant the bomb. Stupid reading. It always fails me. I never owned a NES myself -- in that particular era of gaming I was very much a "computer" person rather than a console player -- but I had several friends who did. It was always a pleasure to get the chance to play things like Super Mario Bros, Mega Man, Tetris and the like because they were, in many cases, so very different from what I was enjoying on the 8- and 16-bit home computers I had at home. I often looked for home computer experiences that could match up to the greats on console -- particularly in the platform game genre -- but was regularly disappointed. Thinking about it, my present love of the "underdogs" of gaming may well have started as early as the NES era; out of all the 8-bit Mario games, I found myself most drawn to Mario 2 for some reason, while that seemed to be an unpopular choice at the time. Similarly, I found the way Adventure of Link did things quite a bit more interesting than the original Legend of Zelda. I guess I've always been one to go against the grain! The thing that's stayed with me most over the years, oddly enough, is the distinctive sound of the NES' sound chip. I loved those distinctive square-wave noises that burbled forth from the TV speakers, and I loved the fact that in several games (Castlevania and Zelda II, I believe) the sound effect of the main character getting hit sounded like them going "whoops" rather unenthusiastically. I don't miss those controllers, though. Ergonomics have come a long way! In the 80's and early 90's, Europe was seen as a third world gaming territory - and was always last in line for Japanese console releases. UK gamers would have to wait until 1987 until they were able to play one of the all-time greats, Super Mario Brothers, much to the annoyance of one Mr Rignall. I first heard about the NES back in very late 1985. At the time, I was working on a Commodore 64 magazine, and it was the height of Europe's 8-bit computer gaming boom. The word "console" was pretty much associated with the very out-of-date Atari VCS, so I was most surprised when a work colleague, Gary Penn, returned from visiting Activision’s office and just couldn't stop talking about this "Nintendo console" he’d been shown. He kept talking about a game called Excitebike, which he said was one of the best games he’d ever played. He also explained about these weird card-like controllers, which I decided I didn't like even before I saw them. I was nevertheless very intrigued about what he was saying, but soon forgot about it as we headed into Xmas. Early in the New Year, I was invited down to Activision on a Press Event and while I was sitting in one of the demo rooms, noticed an unassuming grey shoe box on one of the shelves and realized it was the thing Gary had been talking about. I asked if I could play it, and the PR person said sure – but it took us a while to figure out how to get it to work. Back in the day, British analog TVs ran on a PAL format – which was different to the much more universally used NTSC. Because of that, anything originating from outside the UK needed an NTSC TV to run it– and also needed a 240v – 120v power converter because the UK power system is also different. So once we figured out which TV was the NTSC one, and how to hook up the power converter so we didn’t blow up the console, it finally burst into life, and the course of my gaming history was changed: the game already in the machine was Super Mario Brothers. I’d have to wait another six months before Super Mario was finally released in the UK, and I was literally counting the days until I finally got hold of a copy. I remember sitting on a train home after picking it up, reading the instruction manual to pass the time and getting more and more excited. I ran home and plugged it straight in, and started playing and didn't stop until sometime early the next morning when I realized I hadn't eaten for about 10 hours. Few games have ever had that kind of impact on me. When I was six years old, my father brought home a brand new NES from his office; Nintendo was interested in my father's foam production plant producing the packaging that encases NES units inside the box. When that NES wasn't at the factory, it was in my bedroom where I played far more Super Mario Bros. than was probably healthy at the time. At the time the NES was the new amazing thing on the block, and having one was big news to my elementary school friends. When I wasn't playing the game, I was drawing the character illustrations out of the game's manual, following the pixelated appearance of the items and enemies because I just plain didn't know any better. The NES had to go back to Nintendo after nine months, but Mario's adventures stayed with me. Several months later I had saved up enough money to buy a NES of my own and Mario was welcomed into my home permanently. He was followed by dozens of other games and consoles over the years, but my collection and gaming passion began with the NES. My first NES memories were with my cousins' they were playing Karate Champ. I was enamored with the graphics. Later I saw them playing Zelda (after the commercial aired asking if there really was a Zelda). I was so interested. I even put up with their ridiculous amounts of swearing so I could keep watching. I remember running to a friend's home in 4th grade just to play Super Mario Bros. on a black and white. Mario 2 was also so mysterious. Then came The Wizard and Super Mario Bros. 3. These were pretty amazing days. I didn't actually get my own NES until I was in 7th grade. The SNES was out, but my brother and I had only saved enough for the NES Sports Set. We already had a Gameboy at the time. We bought a SNES a few years later. But it started with the NES. I still have that gray box with its flashing red light hooked up in my basement. I still play it. My son plays it. I still have a backlog of games I want to get through on it. You have to admit: Nintendo builds things to last. It's easy to see why chiptunes are so popular once again as all of us NES kids are making our way into early adulthood. Like Stewart Smith, my first memories of gaming are tied to the opening music of SMB and Zelda, and even now I get chills when I hear them. And I can still remember in vivid detail my first all-nighter at the age of six as I whiled away the early hours of the morning bombing every rock and burning every bush in the land of Hyrule, trying to find one more hidden heart container or secret to everybody. Sunsoft's Batman game sticks in my mind after all these years. It took me three months to beat its five levels. The graphics were pretty damn neat for a NES game, though I'm probably remembering the sound as better than it actually was. If only licensing wasn't an issue. I'd love to play either the original or a 3D Classics version on 3DS. @alstonebridge What a great game! I still have a working copy but have only ever gotten to level four! Those dang wall jumps. @alstonebridge As it happens, when Vic Ireland (quoted in the piece!) was working with SunSoft to get stuff on Virtual Console, they were pretty close to getting NES Batman re-licensed. Bummer that it fell through. Quite a few contributors commented about how "evil" NES games were in their difficulty and obtuseness. Some have equated this to designers trusting players and not engaging in dumbed-down hand-holding often railed against in modern releases. A recent satire piece regarding kids being unable to complete the first stage of Super Mario Bros. has been making the rounds. Do you think designers actually trusted players more in those days, or just had to make due with the technical limitations of hardware in its infancy? I'm from the arctic Northeastern US, and my favorite NES memories come from, now fleeting, snow days, which would force our local schools to close (I was in middle school in the late 80's-early 90's). My parents had to work, so I'd be left alone. Call up a friend, we'd hoof it several miles to the nearest video rental store, grab River City Ransom, Cobra Triangle, Rescue Rangers, Batman (and the crappy but pretty sequel a few years later), Little Nemo, or whatever, hunker down with a few boxes of micro magic french fries and we'd play games for hours. I miss those surprise days off. @kentdoggydog I think it was just a different paradigm. The biggest difference between games today and in the 80's is that nowadays people feel entitled to win a game. And if a game doesn't just hand out progress but makes you work for it, it is seen as "evil." But if you adjust your mindset, some of those really hard NES games can be just as fun as any modern game. Some people act like kids back in the 80's suffered through hard NES games because they had no choice, but I'd argue that the mindset was different and those games were genuinely fun. Well, some of them, anyway... there were a fair share of NES games that were difficult for the wrong reasons, like stiff controls. The first time I had ever heard of the NES I was 4 years old. I was collecting little white rocks in front of my parents house with my friend because we thought they looked cool. My friend says to me, "Maybe if we collect enough of these we can trade them in for a Nintendo." So I said "What's a Nintendo?" That thought is so funny to me now, but she basically said that it's a game. All I could think of was that it was some kind of board game because I had never heard of a video game. So the next time I went over her house her parents had got her one and they were playing Super Mario Bros. She turns to me and says "See Matt, this is a Nintendo!" Immediately I turned to my dad and said "I need that." And from that point it was all over. I was hooked. @brionfoulke91 I agree, but wanted to know if the designers actually had more "trust" that gamers would enjoy the experiences they were crafting, or if they were just doing the best they could with what they had. @kentdoggydog I don't think it was a "trust" issue. The developers just made games that way because that's what they thought kids wanted, challenging games, and they were mostly right. Also, speaking very broadly, Japanese games have always tended to be harder and to require more effort, because it fits the Japanese work ethic, whereas Americans have tended to gravitate towards games that are more about freedom than effort. Personally I value challenging games more than games that give you freedom. 6 when the Atari 2600 come out! classic! USgamer Community Question: Which System is the One for You: PS4, Xbox One, Wii U or PC? At the risk of igniting another system war, we're asking you a simple question: which one of today's current platforms do you prefer? The PC has recently become a wonderland for overlooked or MIA RPGs from Japanese developers. Here are a few that haven't made it yet, but definitely should. Amazon and Nintendo mend some fences with a new eShop-style digital store. Fireteam Osiris makes a stunning debut doing things you'll probably never do in any Halo ever. What can you take away from a strategy game and yet still have a strategy game?